Durch die Geschäfte bummeln, die Burg besuchen, mit dem Schiff eine Moselrundfahrt machen, oder mit der Sesselbahn zum Aussichtspunkt fahren….Cochem hat vieles zu bieten! Von Cochem aus können Sie ganz bequem per Bus, Bahn oder Auto die anderen Dörfer im Moseltal entdecken und auch die Großstädte Trier und Koblenz. 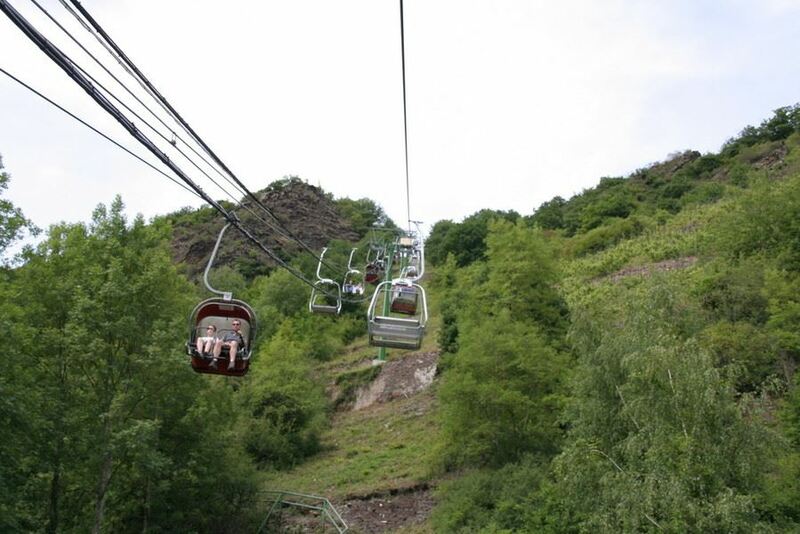 You can visit the castle, browse around the shops, take a boat trip or a ride up on the chair lift to admire the views of the valley. 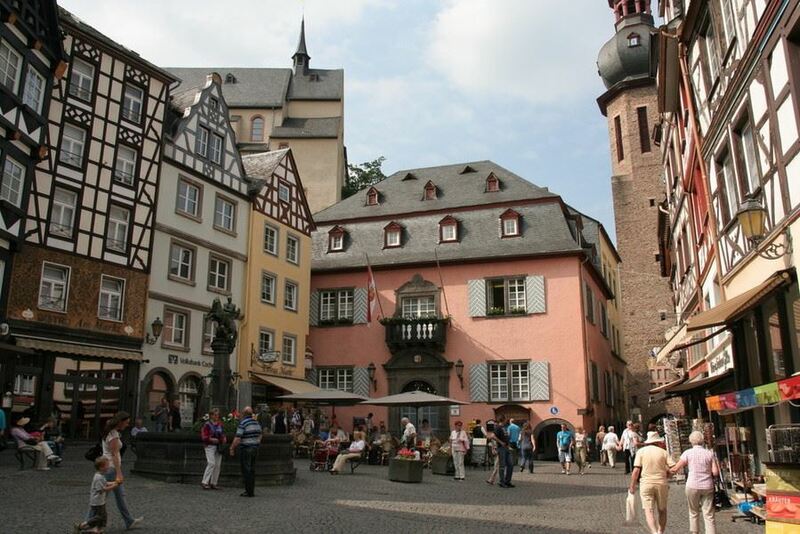 Or you can relax in one of the many cafés and restaurants and sample the typical German coffee and cakes. Cochem also has an indoor and outdoor swimming pool complex and a nearby animal and leisure park offer fun for adults and children alike. Golf lovers can take advantage of the Golf resort. Don’t forget to make time for some superb wine tasting! The pretty vineyards surrounding Cochem are the perfect backdrop for the countless hiking and walking routes in the surrounding countryside. 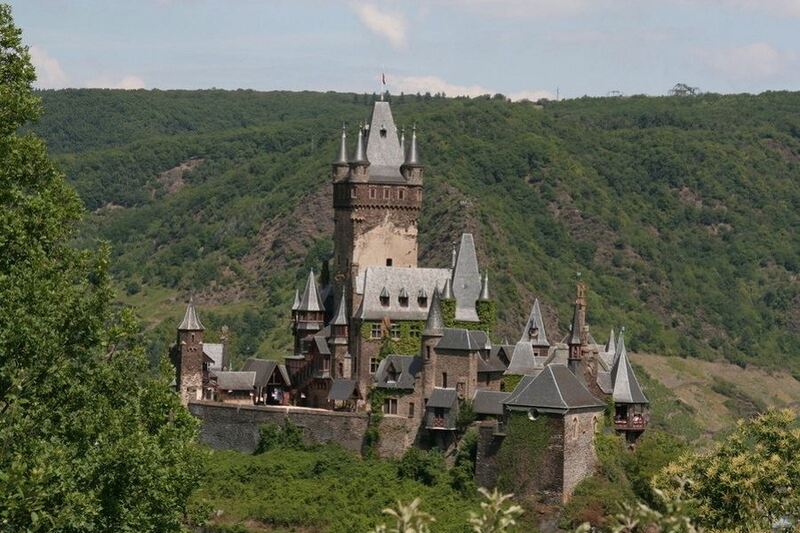 Cochem is the ideal base for making an excursion to the famous castle Burg Eltz or to Maria Laach. Hikers and walkers will enjoy the walking routes in the Eifel, Mosel and Hunsrück regions. From Cochem you can easily reach the surrounding towns and villages along the Moselle valley including the cities of Koblenz and Trier by car, bus or train. Cochem is worth visiting at almost every time of the year. In the summer there are wine festivals taking place along the Moselle nearly every weekend, the highlight being, of course, the Cochem Wine Festival at the end of August. But also the Oktoberfest, the Federweißerfest and the Christmas Market all offer visitors a great atmosphere.